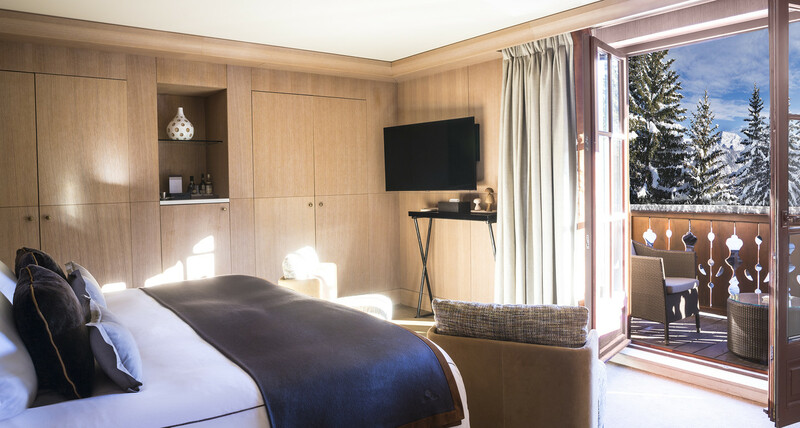 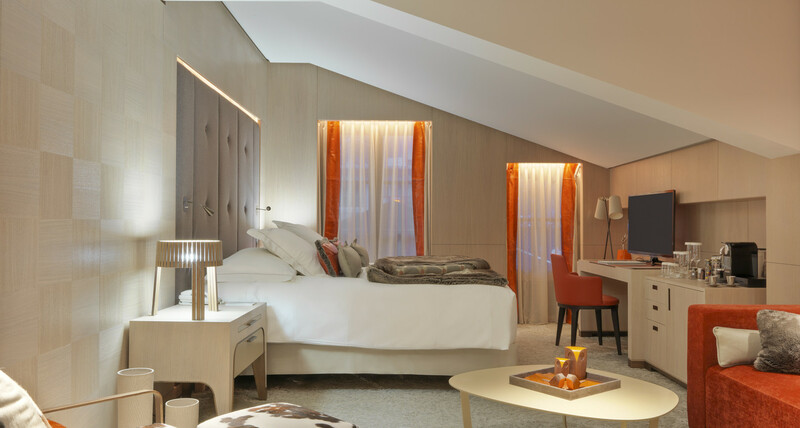 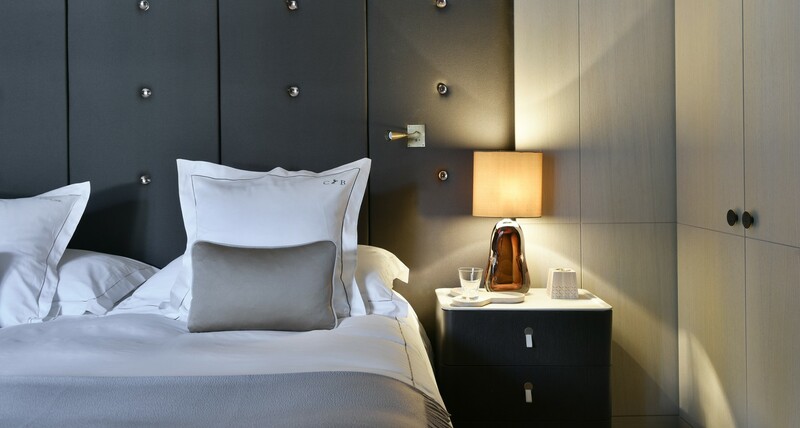 Crowned in shades of Vesuvius orange and chocolate brown, the Superior Room offers a contemporary atmosphere to cosy up après-ski. 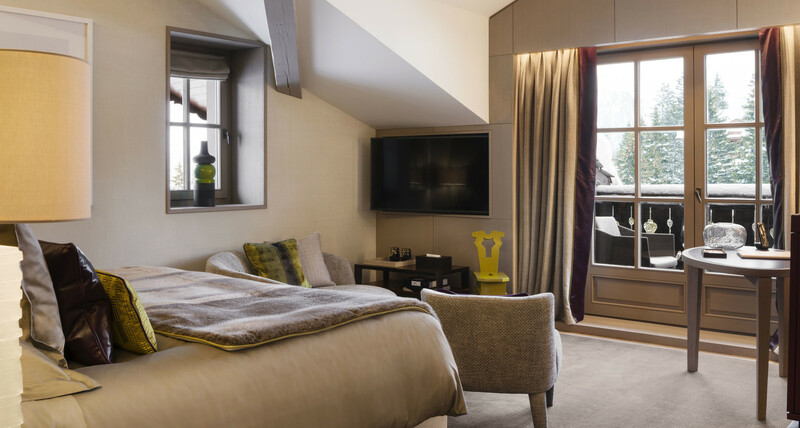 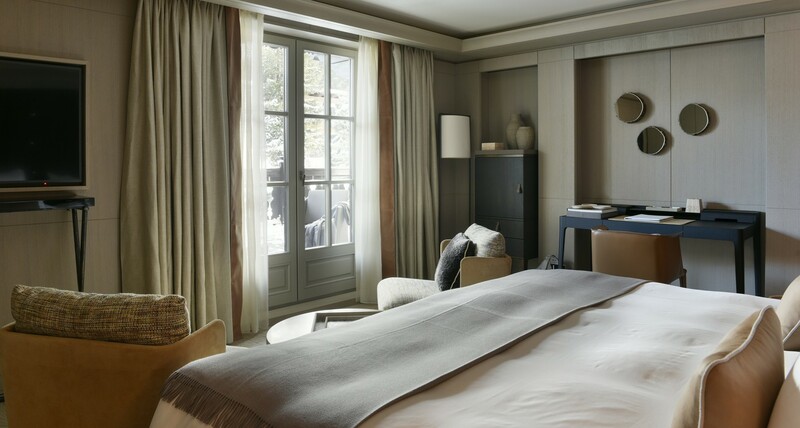 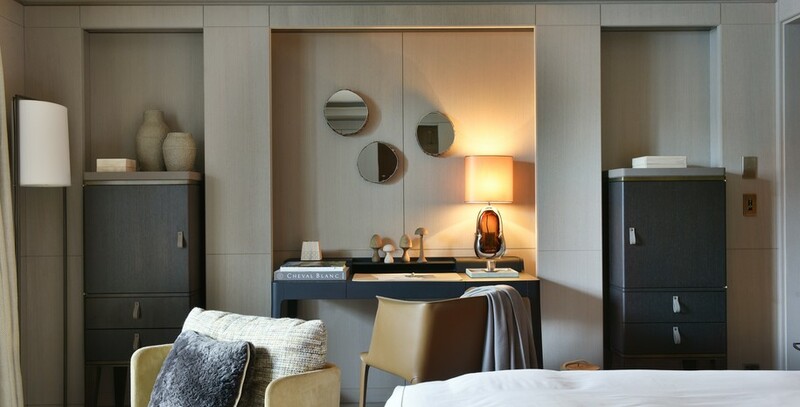 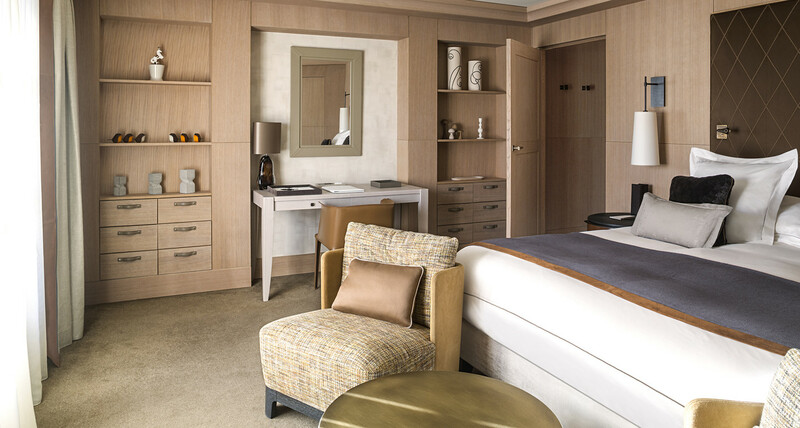 The spacious bedroom boasts a living area and desk, opening onto private balconies or terraces facing village views. 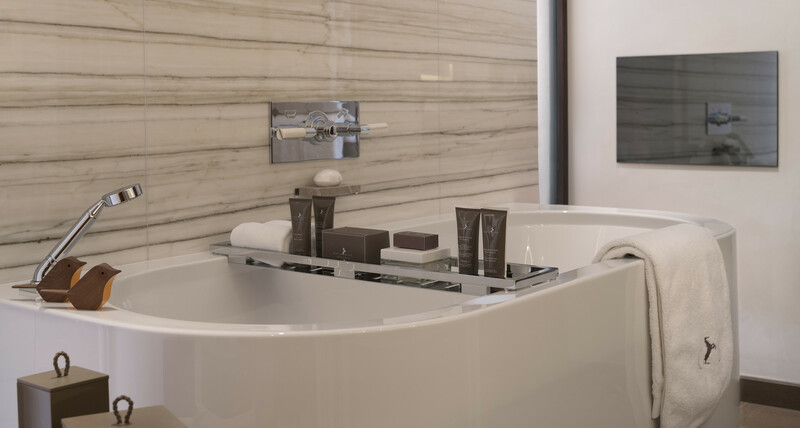 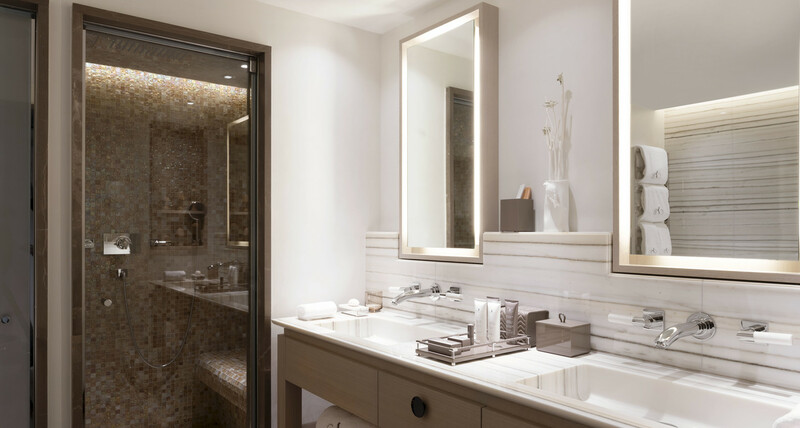 Generous bathrooms equipped with both a bathtub and hammam-shower with chromotherapy are a welcome retreat from the winter frost. 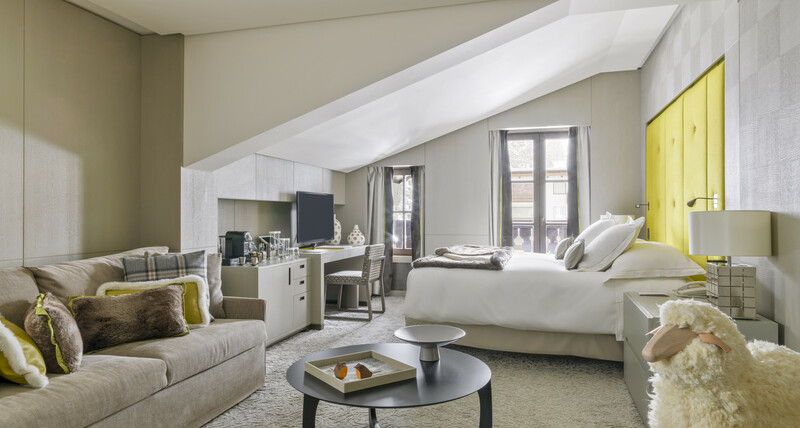 Playful design objects punctuate the room as little winks to the Savoie surroundings.